I like to travel and see new things. 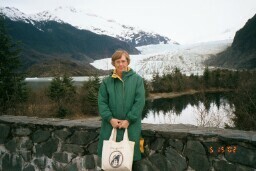 At right, I am in front of the Mendenhall Glacier in Alaska. 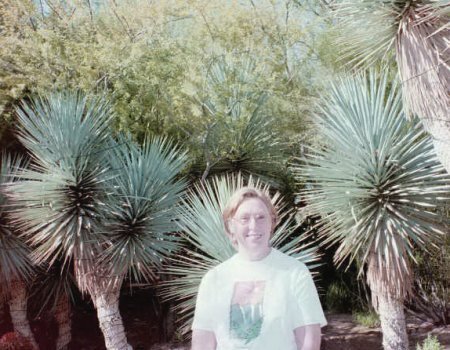 My travels have taken me to most European, Scandinavian and Meditteranean countries, as well as Mexico, Canada and many US states. 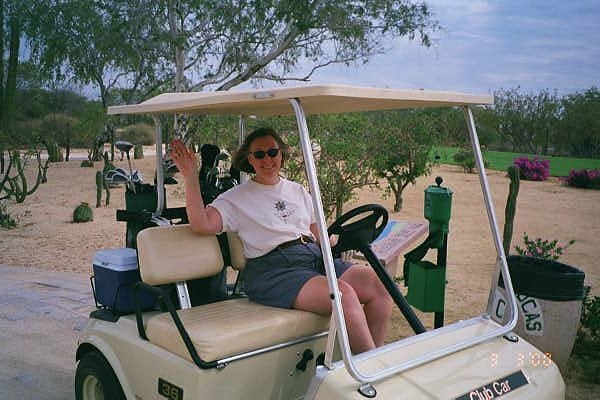 Here I am on the golf course in Cabo. Yes, I play golf occasionally - when it's not too hot, when it's not too early, when the golf course isn't too difficult, etc. etc. Actually I would rather paint, read, etc. I like indoor activities best such as 'designing' things. I grew up in Anderson, Indiana - the oldest of 4 children. My Dad worked for General Motors and Mom was a housewife. I went to a business college in Ft. Wayne, Ind. and studied Business Administration and Accounting. Afterward I got married to Bob Zank and we moved to Michigan as he was employed by Ford Motor Co. I was doing cost accounting for Ryder Truck Rental. We went to Havana, Cuba on our first vacation, just before Castro got real nasty. I remember the fancy hotels with large crystal chandeliers. 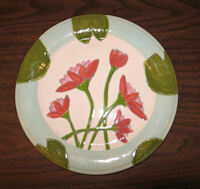 After my son Jeff was born I kept busy with arts and crafts of various types; went bowling, played cards, etc. When I divorced, I got a job as a bank teller, which I enjoyed even tho it didn't pay much. After that I worked as: dental office manager, employment counselor, office manager for mobile home assn., and hired workers for a health care organization. Dave and I moved to Massachusetts when he got a job with Digital Equip. Corp. in 1980. I was also hired there as an Immigration Consultant - getting visas for the foreign engineers that were hired. I was practicing law without a license. Next I discovered jewelry making. When I saw beads, I said - I can do that! I loved it. 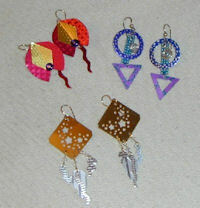 I went on to make jewelry of other materials, such as dyed aluminum and brass. My jewelry company, Possessions, was in business from 1985 until 1995. I lost interest after moving to Oregon, and was burned out from doing wholesale shows and filing orders, etc. While living in Oregon I took classes in Interior Design, which I also loved. When we decided to move to Washington, I was able to assist in the design of our new home, landscaping, etc. Below is a photo of that house. Here I am on the grounds of the Ethel M chocolate factory, here in Henderson. They have a garden with a lot a nice large cacti. I really like living here in Sun City Anthem. There is lots to do here. In addition to the Vegas shows, buffets, etc., our community recreation center offers all types of arts and crafts activities, swimming, fitness. 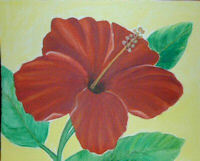 See my arts page for some of the things I have been making. 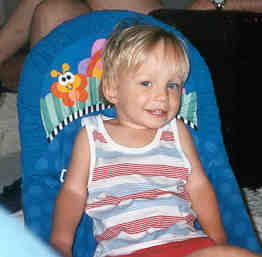 And on the left is my cute grandson, Matthew. See his pictures under 'Marilyn's Family'. Link to my web design pages.